Welcome to Norfolk Steam Loco, the website of Norfolk Heritage Steam Railway Ltd., formed early in 2009 by a small group of enthusiasts in order to acquire, restore and operate an iconic steam locomotive. All major work is now complete; the loco has been steamed, and should be running shortly. It is currently resident at Bressingham Steam Museum for completion and testing. Why did we choose this loco? Click here. The locomotive arrived at our Norfolk base early in May 2009, and for the next eight years work progressed steadily. The old rusty bunker was removed and a new one built and installed. The saddle tank was repaired, and all the other "bodywork" sections cleaned up and painted in primer. Our members completed the arduous task of drilling out over 600 old firebox stays before the new inner firebox could be fitted, which with a complete set of new boiler tubes would give us a boiler ready and certificated for at least ten years' hard work. Work completed, the boiler passed its hydraulic test and its out-of-frames steam test, and just before Christmas 2016 it was craned onto the frames. Since then we have reassembled the saddle tank and cab, installed boiler lagging and cladding, and attached all the boiler fittings to the backhead. We took apart, inspected, repaired where necessary, and reassembled the valves, pistons, motion, axleboxes, brakes, springs - pretty much everything that moves, really - in order to create a chassis complete and ready to run; we then moved it up and down its short length of track to make sure everything functioned properly. We had a new ashpan made, and a brand new smokebox was fitted complete with its blastpipe, main steam pipe and blower ring. Inside the firebox, an elegant "brick arch" is in place, actually made of pre-cast concrete sections. New firebars were cast by a local foundry who just happened to have the right mould for our loco, which is surprising as historically no Austerities ever ran in Norfolk! 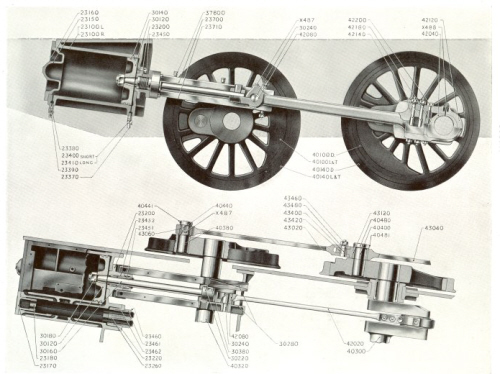 Though we found a number of smaller components that needed repair or replacement and some bearing surfaces that had to be recoated with white metal and machined to profile, we were happy to see that basically the loco was in remarkably good condition. We installed a new and improved version of the old axlebox lubrication system using standard and easily sourced plumbing components, though still relying on the traditional syphon wicks. For the valve chest and cylinders, however, we installed a small mechanical lubricator with a specially designed drive mechanism. 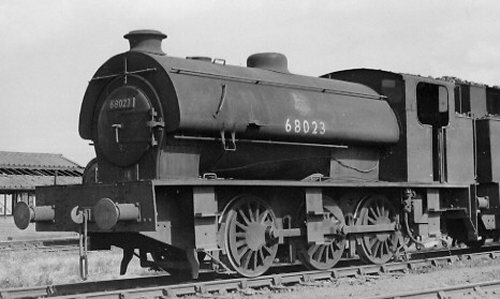 The loco carries the number 3193 (its original builder's number) and the name "Norfolk Regiment". One thing we are clear about - she will definitely not carry her old NCB livery, which was a very unattractive pale blue. For showing the dirt, it would be hard to imagine anything worse!  you can give us an even smaller amount each month and become a Full Member of our Supporters' Club. To find out more about these options and the privileges that come with them, click here. Alternatively, if don't want to join up or receive our mailings but would still like to help, you could send us a donation by clicking the button below. If you don't have a PayPal account, you can use your credit card in the usual way. The "Austerity Locomotives Spare Parts List", a little bit of history on your bedside table! Buy it here . Copyright © 2011 Norfolk Heritage Steam Railway Ltd.